We know you’re busy. Small to mid-sized insurance agency owners are tasked with all the pressures of entrepreneurship, plus growing the business in a competitive industry. The last thing you want to mess with is technology, with all its acronyms and complexities. We’re sure you’ve heard a lot of tech terms thrown about lately, particularly because IT really is “it” when it comes to many of today’s critical business functions. Two terms you’ve probably heard recently are “cloud service provider,” and “managed service provider.” Both are similar phrases but they connote different things in the digital landscape. You may need both services at some point, but you’ll definitely need one of the services most of the time. Now that you’re even more puzzled, let’s break down the differences. The public cloud is the most common way to access the Internet. Businesses share access to the public cloud, which is managed by the cloud service provider. A more expensive model typically utilized by enterprise organizations is the private cloud. That’s where the business (usually with an IT staff) can manage a solo or private connection to the cloud. There has been a rapid increase in a hybrid cloud model, which is a combination of the private and public cloud. It’s safe to say that all major insurance carriers access the Internet via either a private or hybrid cloud model. A cloud service provider is a third party company that offers you services in the cloud. The services could include the network you’re surfing on, business tools such as Office365 that you access through the cloud or infrastructure. These services are stored in an off-site data center accessed through the cloud. Software as a Service (SaaS) includes any business tool such as your online agency management system or some of these other examples. Infrastructure as a Service (IaaS), which takes a portion of your IT infrastructure and places it in the cloud. If you’re storing data in the cloud, that’s an example of IaaS. Or Platform as a Service (PaaS) that you use to build or maintain an application like your website. Examples include Amazon Web Services, Google App Engine, or Microsoft Azure. So how does a managed service provider interact with cloud computing models? Managed service providers handle your cloud infrastructure. It’s like outsourcing your IT worries to a 24/7 professional resource. A managed service provider can handle everything from the security of your network to installations, data backups and recovery, hardware and software, and even, your cloud connection. A managed service provider is particularly helpful to the small to medium sized insurance agency that cannot afford a full or part-time IT staff. 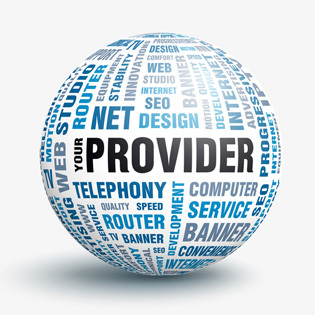 Typically managed service providers offer this service as a subscription, which makes for a budgeted line item each month. Now that you know a bit more, consider talking with a managed service provider like TOSS C3 to see how we can help you efficiently manage your cloud computing infrastructure, or download the white paper: Managed IT Services For Small Businesses.